Learning Python is frustrating because of two problems. The exercises keep you focused, give you extra practice where you're shaky, and prepare you for each next step. Every lesson is built on top of a solid foundation that you and I have carefully constructed. Each individual step is small. But all the little steps add up to real knowledge. If you're an accomplished programmer already, my book may be too elementary for you. (Do you really need to be told what a variable is?) 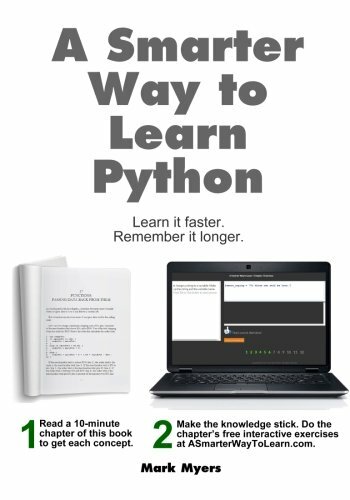 But if you're new to programming, this may just be the book to get you coding Python successfully.